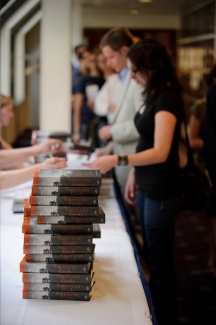 Copies of Neil Gaiman's American Gods: The Tenth Anniversary Edition await pick-up prior to a June 23, 2011 NPC Book and Author event benefiting the Eric Friedheim Journalism Library. 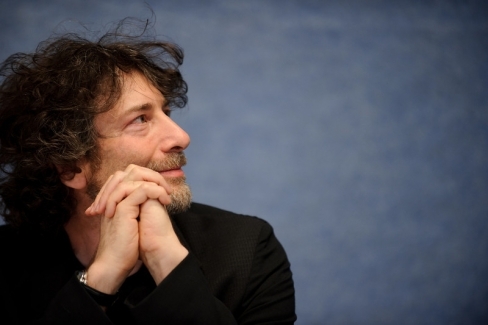 Author Neil Gaiman at a June 23, 2011 NPC Book and Author event for his American Gods: The Tenth Anniversary Edition. 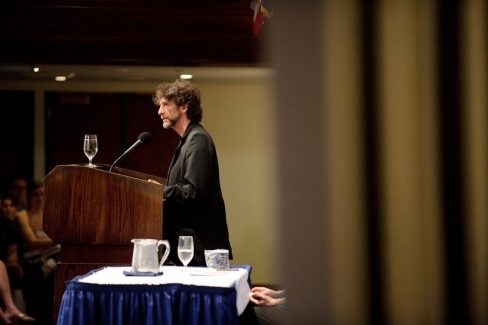 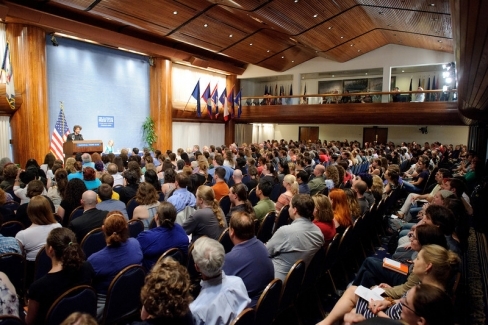 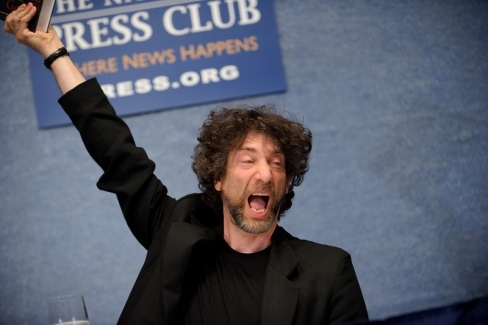 Author Neil Gaiman speaks to a sold-out crowd at a June 23, 2011 NPC Book and Author event for his American Gods: The Tenth Anniversary Edition. 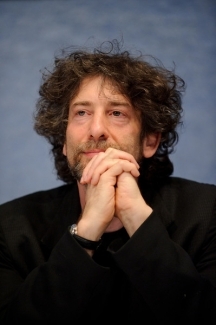 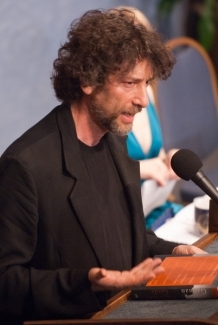 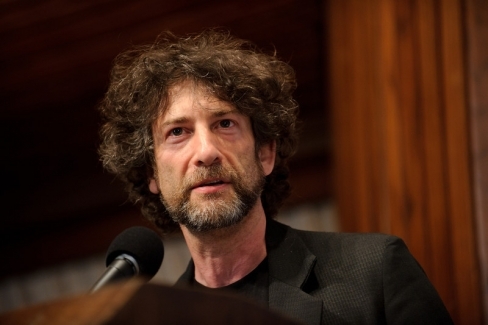 Author Neil Gaiman speaks at a June 23, 2011 NPC Book and Author event for his American Gods: The Tenth Anniversary Edition. 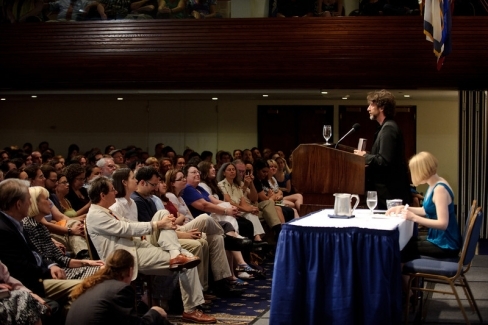 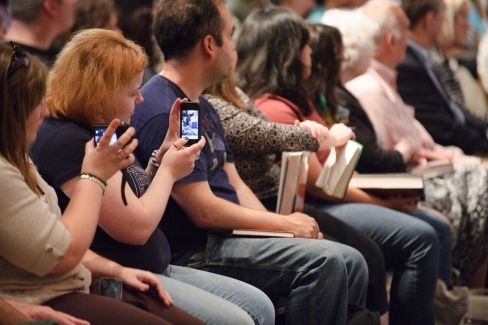 Audience members capture pictures and video at a sold-out NPC Book and Author event for Neil Gaiman's American Gods: The Tenth Anniversary Edition on June 23, 2011. 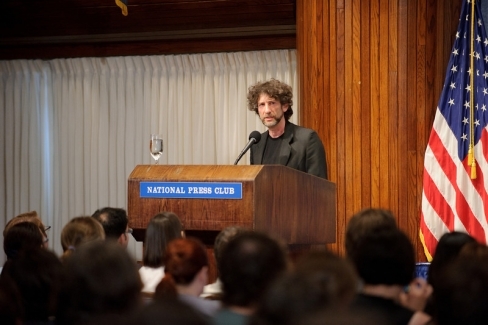 Author Neil Gaiman speaks to a sold-out crowd at a June 23, 2011 NPC Book and Author event for his American Gods: The Tenth Anniversary Edition. 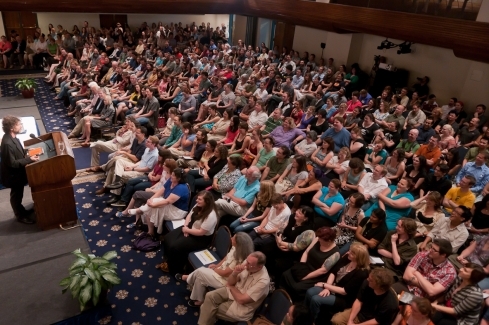 Also pictured, seated: NPC member Emily Whitten.